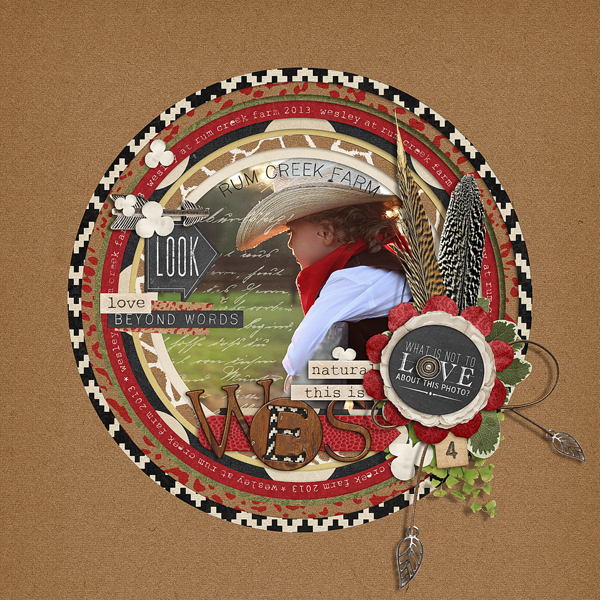 "Rum Creek Farm" digital scrapbooking layout by Brandy Murry. 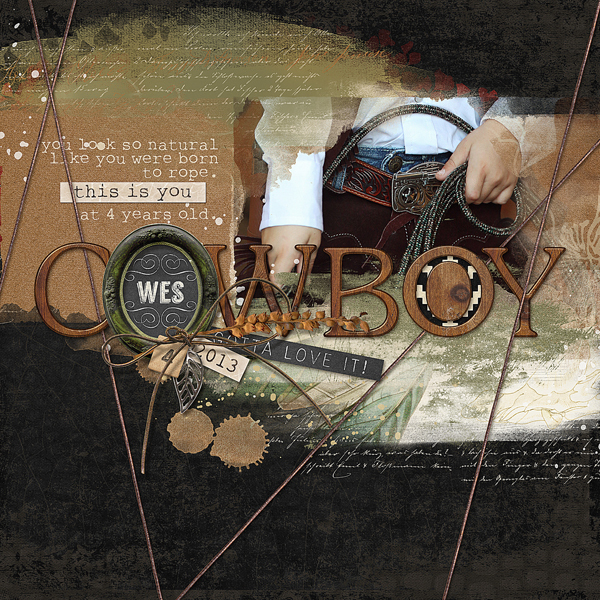 "Cowboy" digital scrapbooking layout by Brandy Murry. 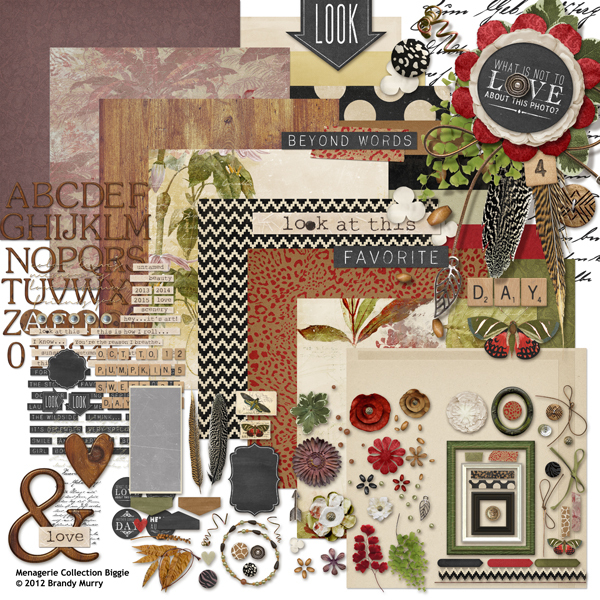 The alpha & word art includes 2 alphas in wood with alternative vowels, chalkboard tags, script writing, scrabble words, gold wire script & lots of fun word tags. 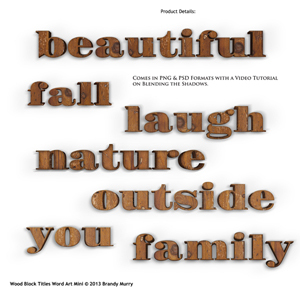 The alpha & word art is only available wit the collection. 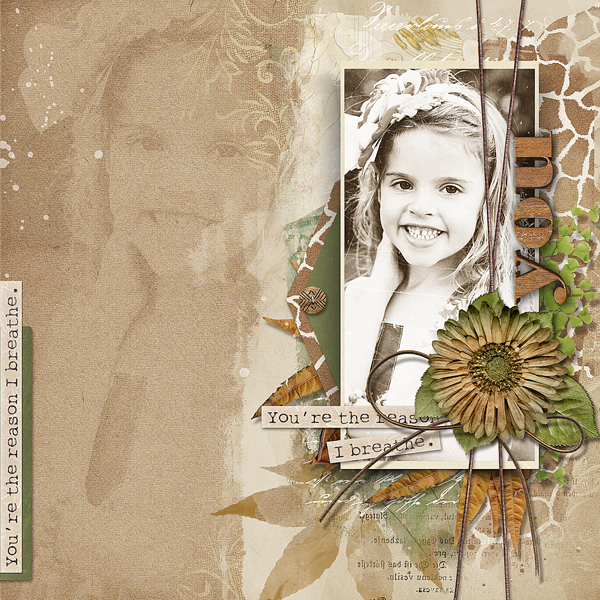 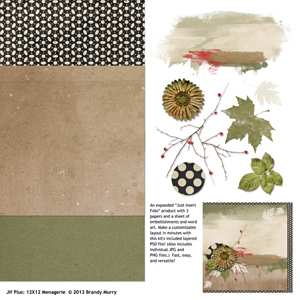 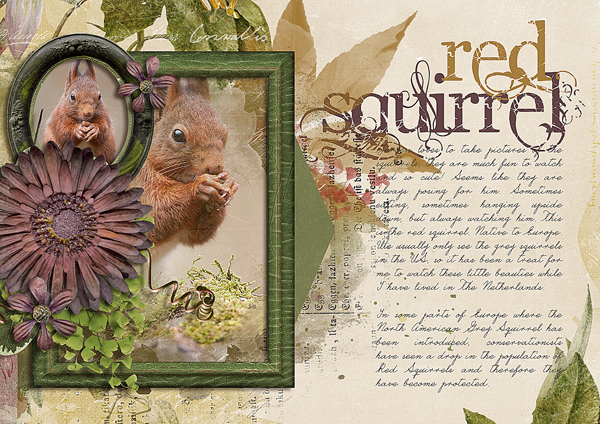 The Menagerie Embellishment Biggie includes 3 pages of digital scrapbooking elements. 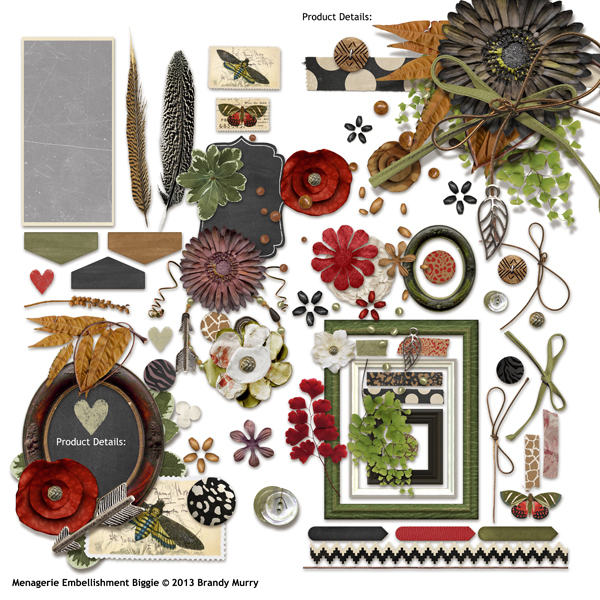 In this set you will find items such as feathers, washi tapes, stamps, leaves, flowers, wood & paper frames, scattered beads & much more. 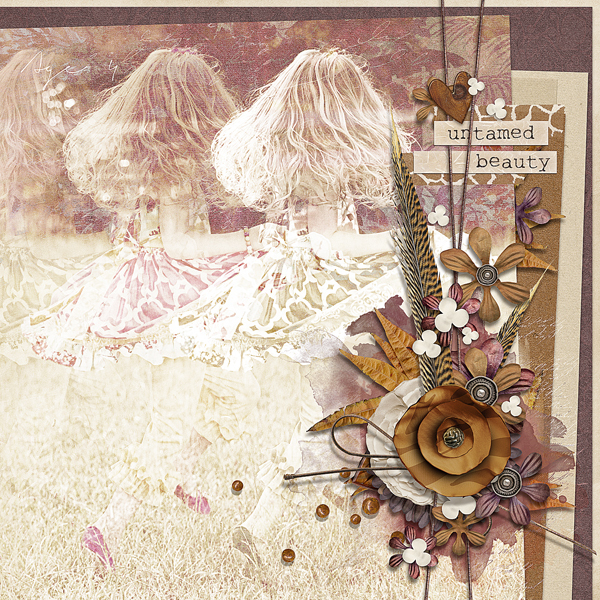 Some embellishments come in more than one color & are not all shown in the preview. 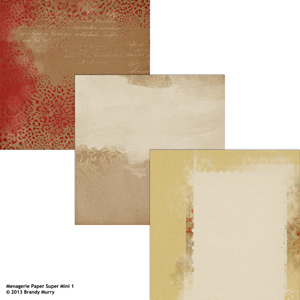 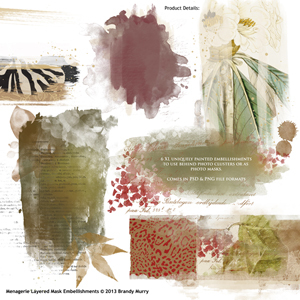 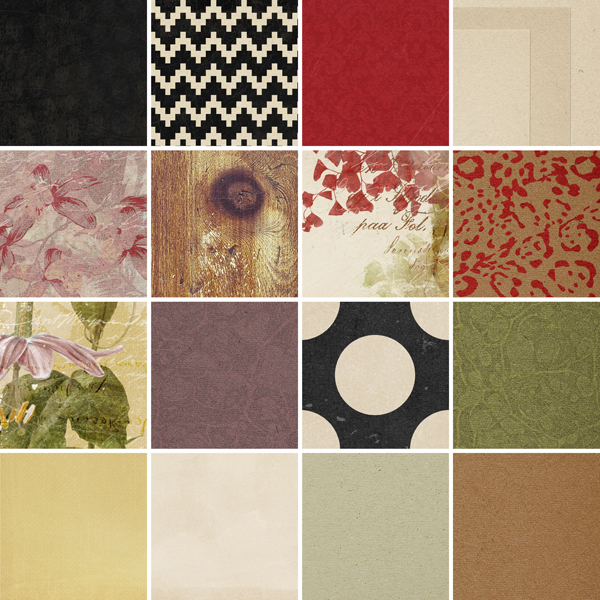 The Menagerie Paper Biggie includes 16 digital scrapbooking background papers in an array of patterns & textures. 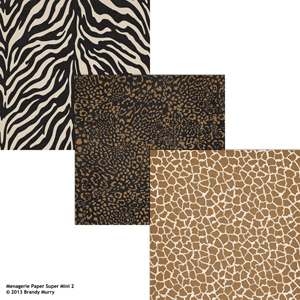 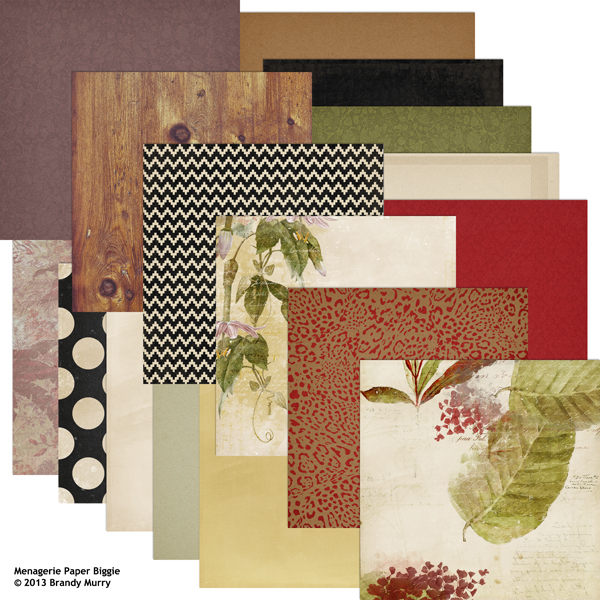 You will find papers such as a jaguar print, natural wood, polka dots, African inspired chevron plus a nice selection of solid textures to get your scrapbooks started. 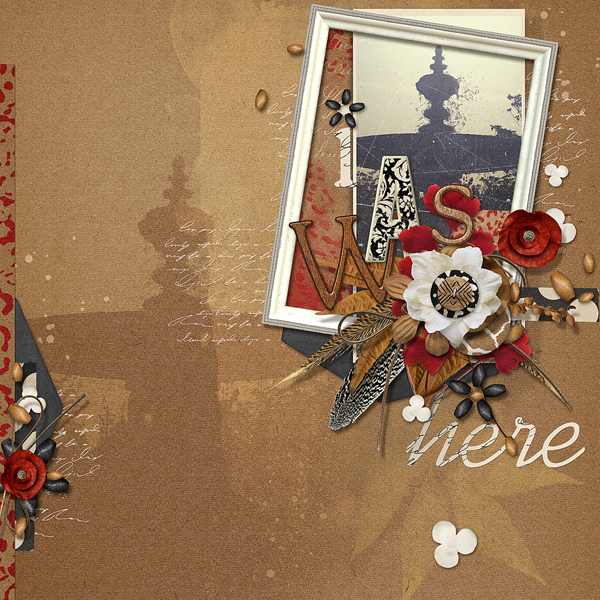 Archive the memories and photos of the past with the Heritage Digital Scrapbooking Collection. 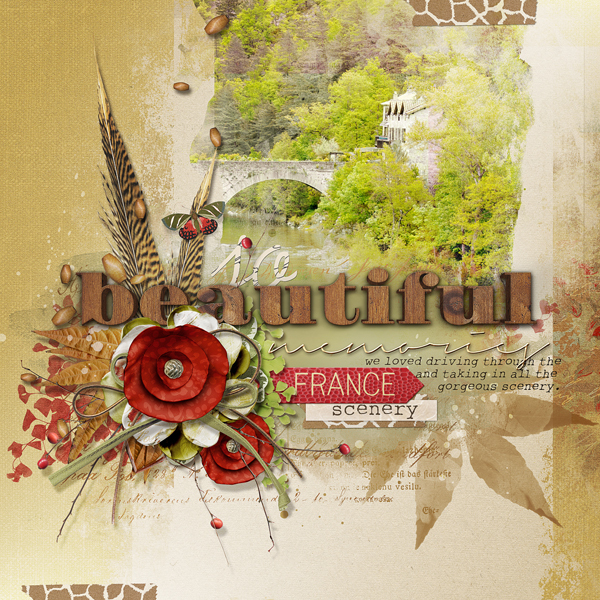 This kit includes 18 papers, 2 alphas, 60 embellishments and 18 pcs of word art set in warm vintage colors.